Well, it's not pretty & my embroidery skills need quite a lot of practice. But it fits my needs. 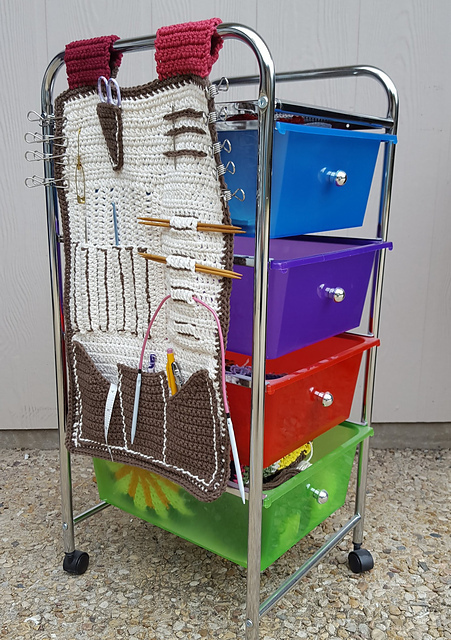 I've been using the little cart & love it because I can roll it out of the family room when we have company, but I was using my cup holder in my chair for hooks, tapestry needles, scissors, etc. It was a mess. This makes me smile! What a super idea!! thanks for sharing!! Love this idea and very creative. Love my cart. It holds a lot of things. Love the caddy, that is perfect for all your hooks and such. That's great idea! 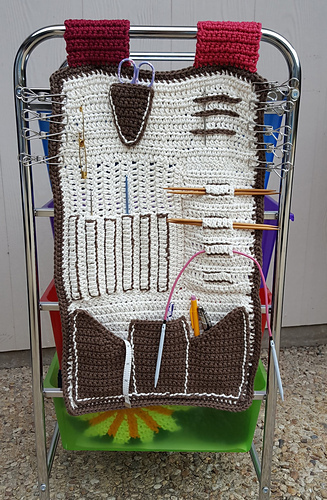 Every crocheter would love such cart! wow that is something!! You have done a very marvelous job i absolutely love this!! i am always looking for new ways to organize!! this is wonderful! !